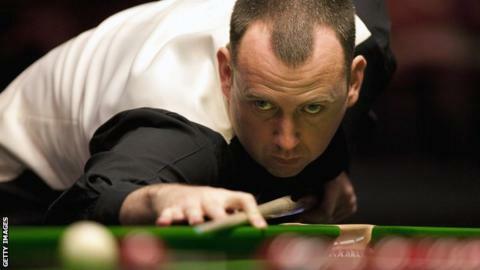 World Snooker chairman Barry Hearn has warned that former world champion Mark Williams could face a ban for his comments about the Crucible on Twitter. Williams was critical of Sheffield's Crucible Theatre, the venue for the World Snooker Championship. "Why a double world champion could resort to language like that in the public domain about the venue is totally beyond me," said Hearn. "I hope he gets treated accordingly because we expect a responsibility." And Hearn added: "We have the powers to do anything provided we've acted reasonably - a potential suspension or a ban. "The big issue is I don't really want anything like this. This is a very good time to be a snooker player. It's not a good time to be an idiot." World number two Williams begins his World Championship campaign against China's Liu Chuang on Wednesday. Hearn has also been critical of Northern Ireland's Mark Allen, whose accusations of cheating against Chinese opponent Cao Yupeng have resulted in a for the 26-year-old.